With over 1,200 Annual Personal and Business Members, the Theodore Roosevelt Medora Foundation is a large family. So large that many of you may have never met another Annual Member. As a “family that values family”, we can’t let this stand! Which is why we invite you to sit down and get to know Char and Duey Marthaller of Mandan, ND. 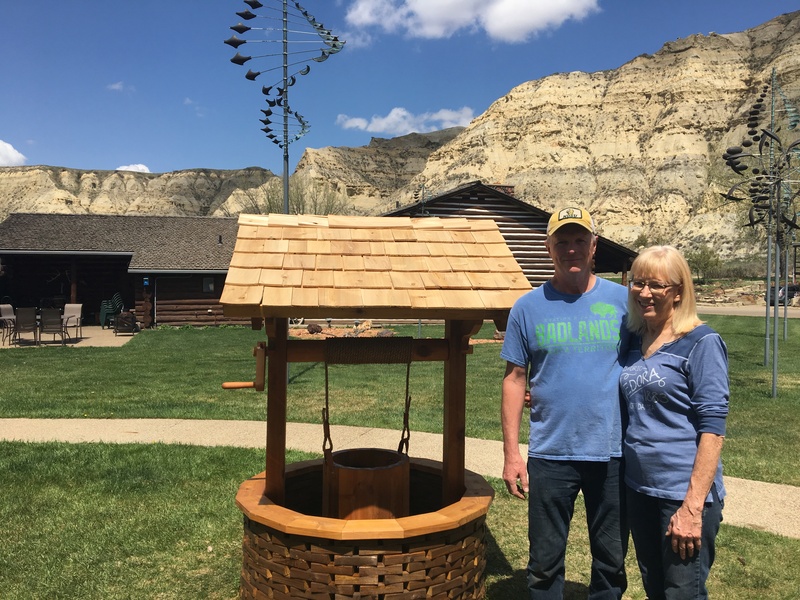 Besides being Annual Members since 2012, Char and Duey have shared their wood working talents on a number of Medora projects. Most recently they refurbished the Sheila Schafer Wishing Well in 2017 (pictured above). Their passion for Medora inspires our staff of over 350 each and every summer. Get to know this wonderful couple below.